Those Grand Theft Auto fans really know their stuff, especially when it comes to the massive in-game worlds that the titles have revolved around. The most keen fans can reel off the locations of all the cool stuff too, which is impressive considering we can’t even find our car keys in our real world homes! 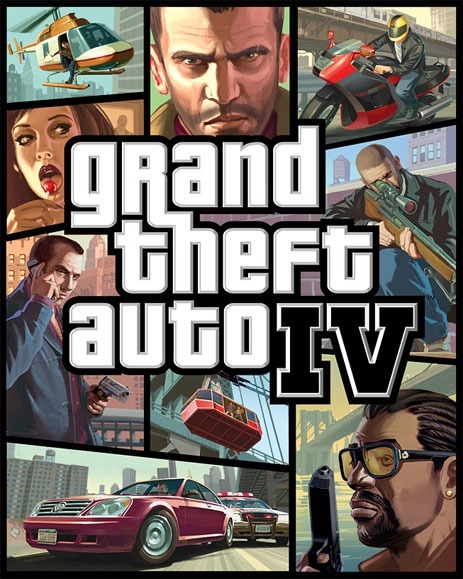 Take fan site GTA4.net for example. 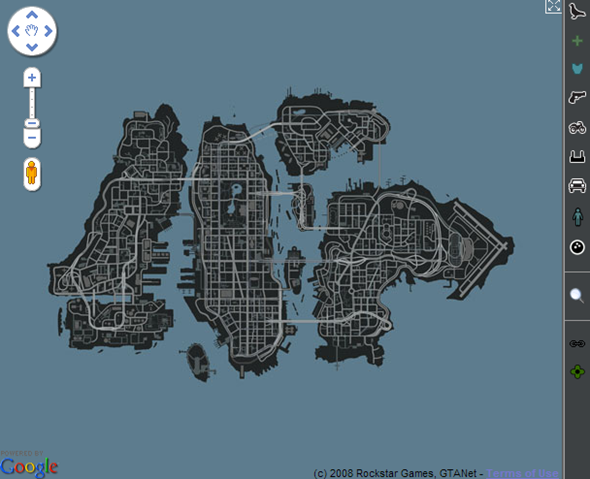 The site has had a map of Liberty City for almost four years now, thanks to Google’s awesome Google Maps API. If you want to know where to find health, weapons or just about anything else in Liberty City, then the folks at GTA4.net have you covered. There’s something awesome about flicking your way around the world of GTA4 all via the familiar Google Maps interface. Whilst that’s all very well and good though, we can’t hope but feel it’s just a little too, you know, two-dimensional. What we really want is to feel like we’re walking around Liberty City, except without the burning desire to steal a car and drive it off of a ramp and into the ocean, that is. That extra dimension is now very much in evidence thanks to Google Street View. The Google Maps version of Liberty City just received the update we’ve all been waiting for – the transition from 2D Maps, to 3D Street View. It wasn’t easy to create, though we didn’t think for one minute that it would be. Almost 80,000 in-game screenshots were needed in order to make the magic come to life, and the completed thing plays host to around one million images. That’s a lot of time, lots of images, a lot of effort and a hell of a lot of patience. We would have given up shortly after coming up with the idea! So there you have it. If you’ve ever wanted to walk down the streets of Liberty City without all the game-y stuff getting in the way, then Google Street View may be the way to go. The only problem now is we’re left wondering which other game worlds we’d like to see receive the same treatment! We would love to see GTA 5 get the same treatment, because you know, that would be way too awesome to handle! Point your browser to GTA4.net/map to get into the action.